The Rev It Westwood Ladies SF Light Blue Motorcycle Jeans are part of the latest REV'IT! collection. The Westwood slim fit Ladies jeans will be welcomed with open arms, as Rev'It! created a stretch Cordura® denim jeans that offer maximum comfort without sacrificing protection. With no two bodies being the same, the stretch characteristics offer a form hugging fit for various shapes. 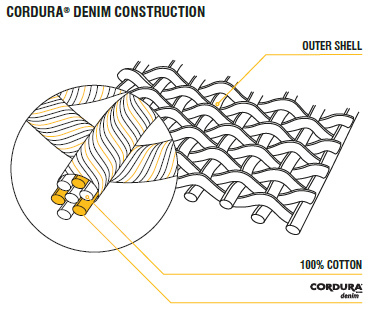 The incredibly strong Cordura® denim is equipped with a COOLMAX® element to wick moisture away, and Rev'It! added their PWR|Shield knit at the seat and knees to give the Westwood Ladies jeans unsurpassed tear and abrasion resistance. 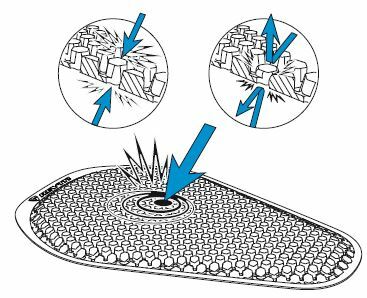 SEESMART CE-level 1 knee protection comes standard, and there's the option to include similar SEESMART hip protection. The comfort seat will keep female riders happy on longer rides, and the 3M Scotchlite reflection on the cuff of the jeans offers a touch of extra visibility when the sun goes down. View all Rev It Motorcycle Trousers. View all Motorcycle Jeans. Length: Standard = 32"; Long = 34"
Please Note: this product is sized by the UK waist size in inches. See the table for other size conversions. The Rev It Westwood Ladies SF Jeans are designed to be a slim fit.